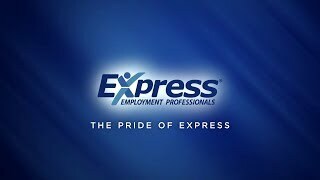 Express Employment Professionals of York, PA is a leading staffing provider helping job seekers find work with a wide variety of local businesses. The Express office in York, PA has a variety of jobs available, with full-time, part-time, and temporary positions available. And, as one of the leading staffing agencies in North America, Express provides employment services and workforce solutions to employers throughout our community. Contact us today to get started on finding the right fit for you. In 07, Amy Reinert decided to open her own independent staffing facility called Staffing Specialists of York, LLC. April of 09 Staffing Specialists became Express Employment Professionals. The only difference is the name. They are still locally owned and operated, not manager run which is uncommon in the staffing industry. Their tagline RESPECTING PEOPLE. IMPACTING BUSINESS says it all. Their goal is to take the stress out of hiring by only presenting the most qualified employees to the client so they can meet their bottom line. Express works by appointment only so they have enough time with all of their prospective applicants. An interested applicant must send their resume to Express and fill out their online application ahead of time before their actual appointment. The reason why is to make sure we can review and see if that associate may be a good fit for us and a client of Express's. They do not want to waste their time if we do not have anything that may not be a good possibility. There is a very thorough interview/screening process that is conducted once an associate applies with Express. Criminal background, drug testing, reference checks and extensive interview questions to state a few. We are also ISO certified.